A decline in strong vision is usually the result of a few factors such as anatomical changes or abnormalities in the eye or visual system, eye diseases, side effects due to medication or eye injuries. Commonly, people also report visual disturbances associated with age or eye strain. Aging and stress can lead to changes in your vision, which can sometimes cause discomfort and even make it harder to perform normal activities such as reading fine print or working on a computer for extended periods of time. These vision problems can be expressed through the following symptoms: blurry vision, headaches, eye strain, squinting and trouble seeing from short or long distances. One of the most common signs of a vision problem can be blurred vision. If you report blurred vision when looking at faraway objects or signs, you could very well have myopia, or be nearsighted. If you suffer from blurred vision when you're looking at anything close by this could mean you suffer from farsightedness, or hyperopia. It can also mean you have astigmatism due to a flaw in the shape of the cornea. Whatever the cause of blurry vision, it's vital to have your eye care professional thoroughly check your eyes and decide on the best way to improve your sight. A sudden onset of flashes of light, often combined with black floating spots and the feeling of a dark curtain blocking a part of your vision indicates the possibility of what's known as a retinal detachment. If this is the case, make an appointment to see your eye doctor right away, as it can have severe consequences. Another warning sign of a vision problem is difficulty discerning different colors or strength of color. This generally means the patient has a color perception problem, or color blindness. Interestingly, this condition is often not known to the patient until diagnosed via a consultation. Color blindness is mainly found in males. If a woman has problems seeing color it might mean she has ocular disease, in which case, an optometrist needs to be consulted. For those who struggle to distinguish between objects in dim light, it is a sign of possible night blindness. An issue frequently seen in aging people is cataracts, which have numerous warning signs which include: blurry vision that weakens in bright light, trouble seeing in the dark or reduced light, difficulty discerning small writing or details, colors that appear faded or yellowed, improvement in near vision while distance vision worsens, inflammation around the eye, and an opaque white appearance to the normally dark pupil. Throbbing eye pain, headaches, blurry sight, redness in the eye, rainbow coronas around lights, nausea and vomiting are indicators of glaucoma, a serious medical condition, which requires prompt medical attention. With younger patients, we recommend you look out for weak eye movement, or eyes that cross in or out, which may indicate a condition called strabismus. Specific things children might do, such as rubbing eyes frequently, squinting, or needing to close one eye to see things better, often point to this issue. If you are familiar with any of the symptoms mentioned here, visit your eye doctor promptly. While clearly some conditions are more severe than others, any disruption to clear vision can be something that compromises your quality of life. 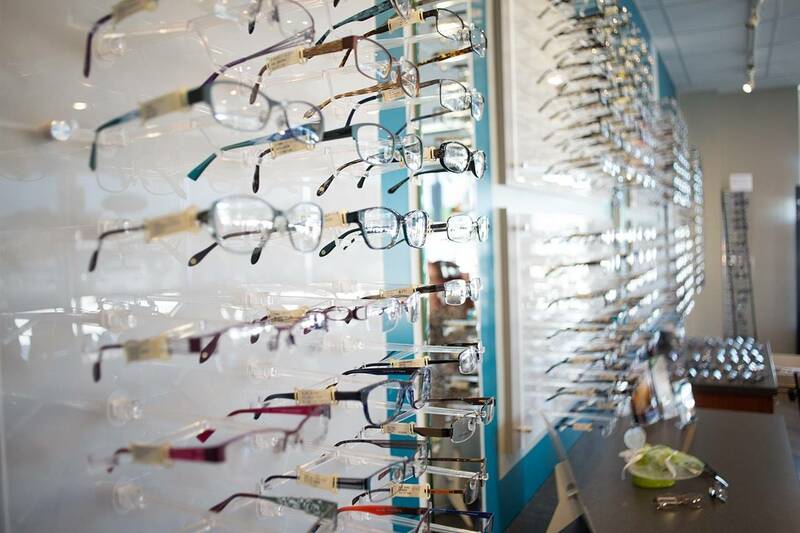 A quick consultation with your optometrist can prevent being avoidably uncomfortable, or even more severe eye and vision problems.